Construction is due to begin this September on the new site of the National Horse Racing Museum. 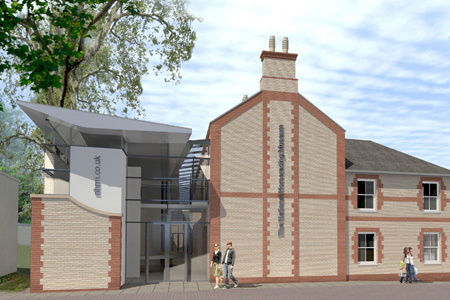 The scheme will see the National Horseracing Museum (NHRM) move from its current location on the High Street, which was first opened by the Queen 30 years ago, to the historic Palace House site where it will be joined by a new gallery for the British Sporting Art Trust and a centre for the Retraining of Racehorses charity. The new centre will be housed at Palace House Stables, believed to be the oldest racing stable in the world and once home to King Charles II’s ‘running horses’ and in Palace House Mansion, which stands on the site of the royal palace. The project is expected to provide a major boost for town retailers and tourism across Suffolk. Planning permission was granted for the project by Forest Heath District Council earlier this year and further information about the scheme can be found on our project page.